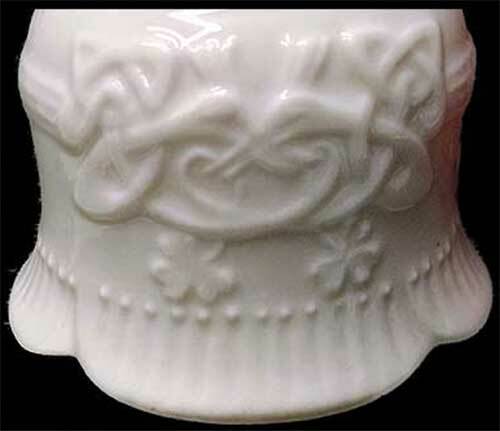 This fine china Claddagh bell features gold accent trim along with an embossed Celtic knot-work and shamrocks motif on the reverse side. 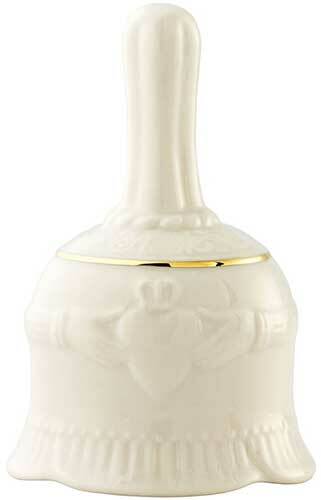 The Irish wedding bell is ideal as a make up bell and it measures 3 3/4" tall x 2 3/8" wide at the base. 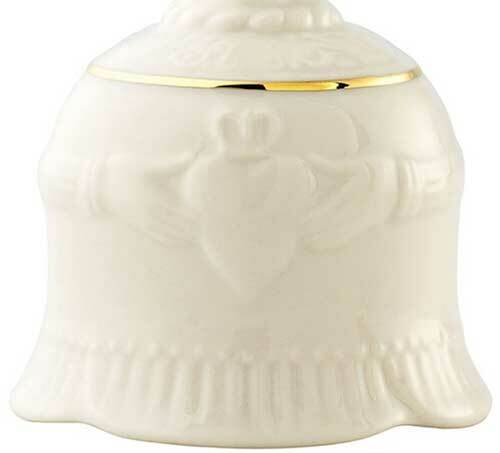 The Claddagh make up bell is handmade and hand-painted in Belleek, Ireland and it is gift boxed with history cards for the Claddagh and Celtic knot along with the shamrock and the Irish bell legend, complements of The Irish Gift House.